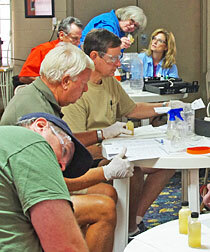 It was hands-on training inside the FOR Community Center during the morning session. 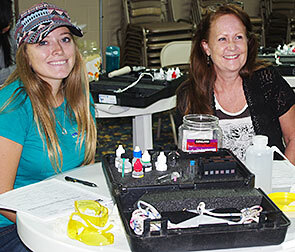 Caylee Harris and Cathy Mac Donald and all the volunteers, received test kits that measure physical and chemical parameters of water. During the afternoon session, monitoring procedures were conducted by the volunteers on the FOR boat dock next to the river. 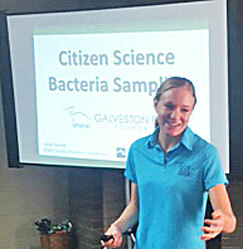 Houston Galveston Area Council hosted Phase I and Phase II Water Monitor Training at the FOR Community Center, Fri Sep 16th, for attendees considering Texas Stream Team certification. 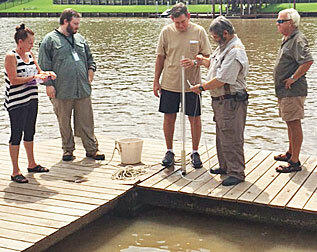 The 20 who attended included a PhD student from The University of Houston at Clear Lake, Houston Parks and Recreation representatives, Houston area Master Naturalists, and Houston area and San Bernard River enthusiasts who wish to contribute to healthy waterways. 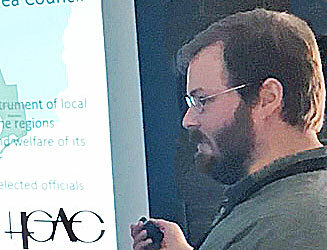 Will Merrill and Rachel Fields of H-GAC provided the training while sampling experts Pete and Peggy Romfh demonstrated tricks of the trade. Thanks to FOR Director and Stream Team citizen scientist Valroy Maudlin for coordinating this event.